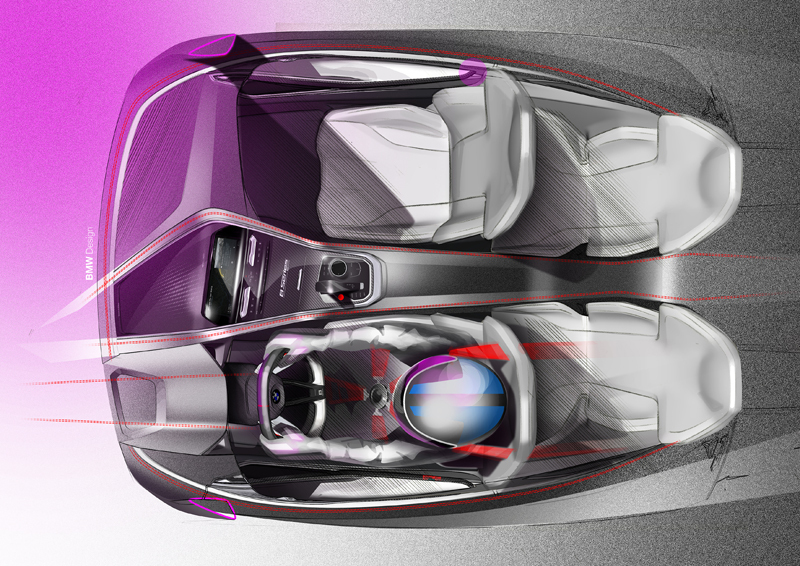 A look at the details reveals two expressively styled character lines providing the border for surfacing that appears to be formed by air rushing out of the Air Breathers. 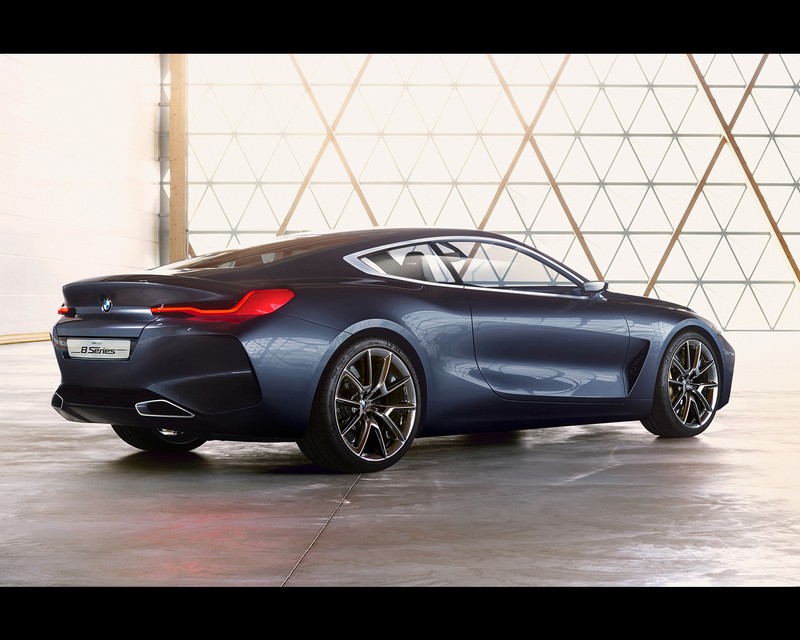 Further back, the eye is guided to the pronounced flaring above the rear wheels. 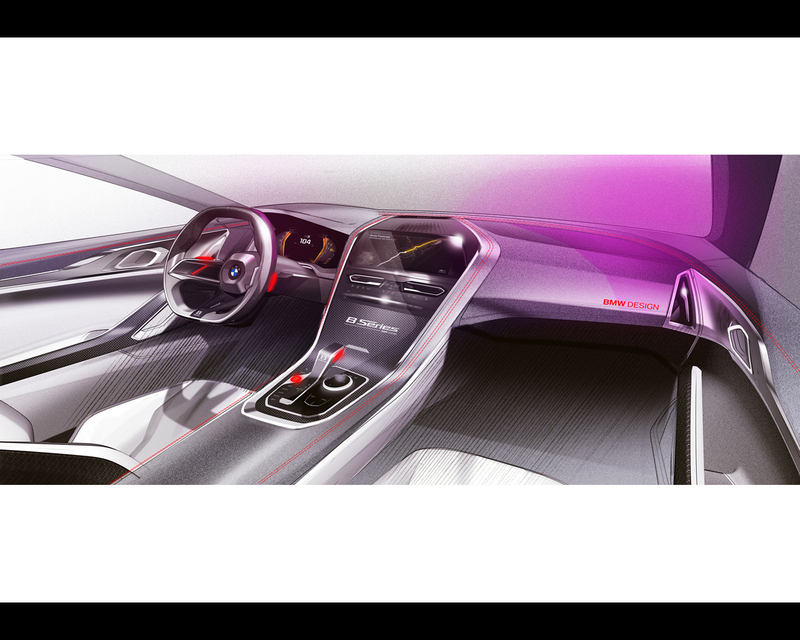 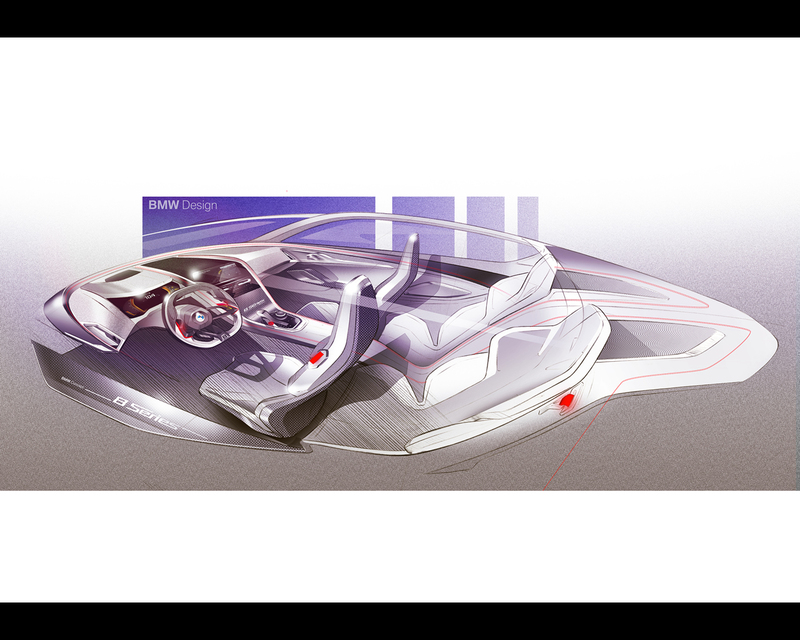 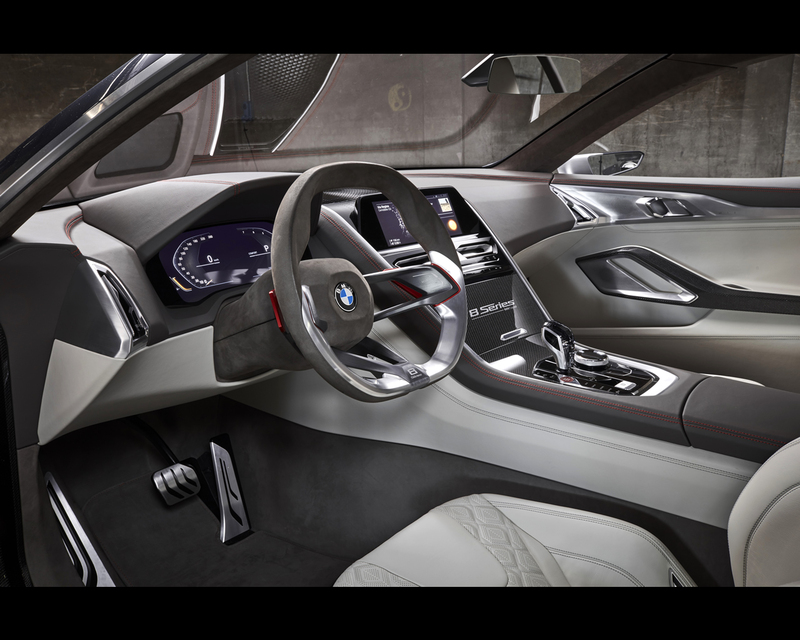 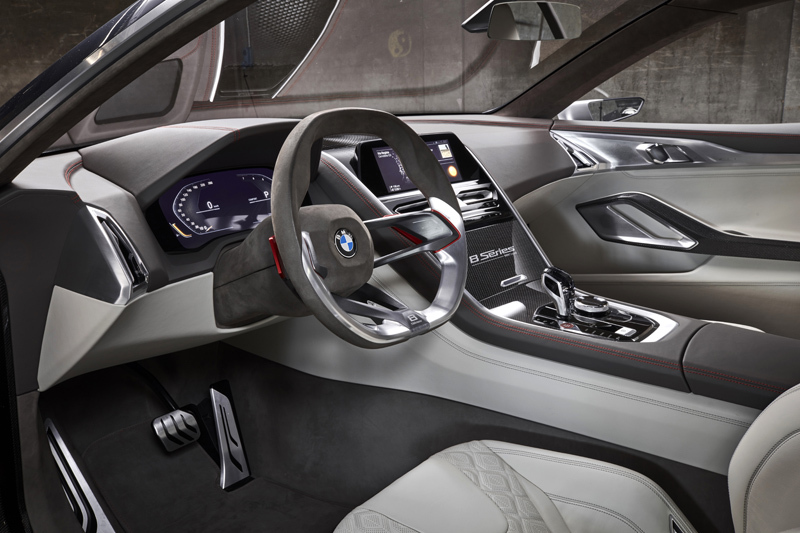 The flanks as a whole draw attention to a new aspect of BMW’s expertise in the execution of surfaces. 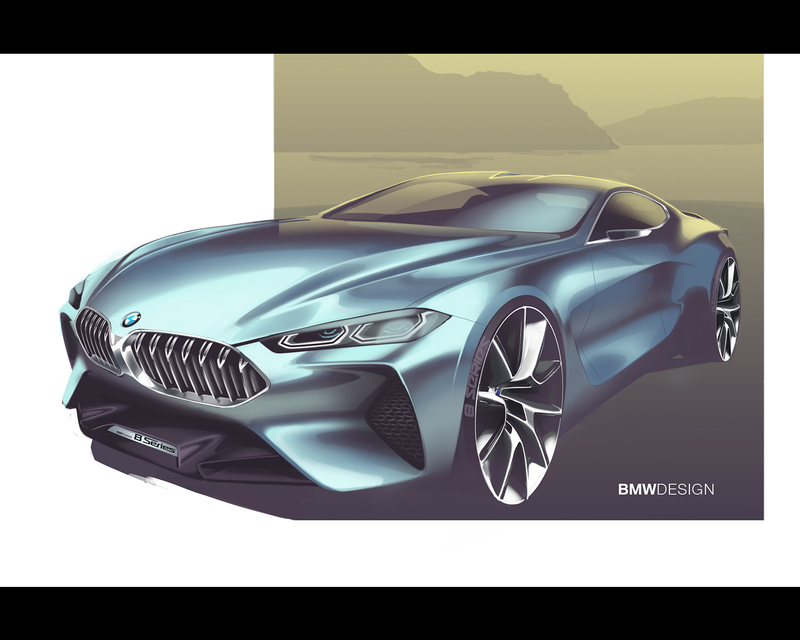 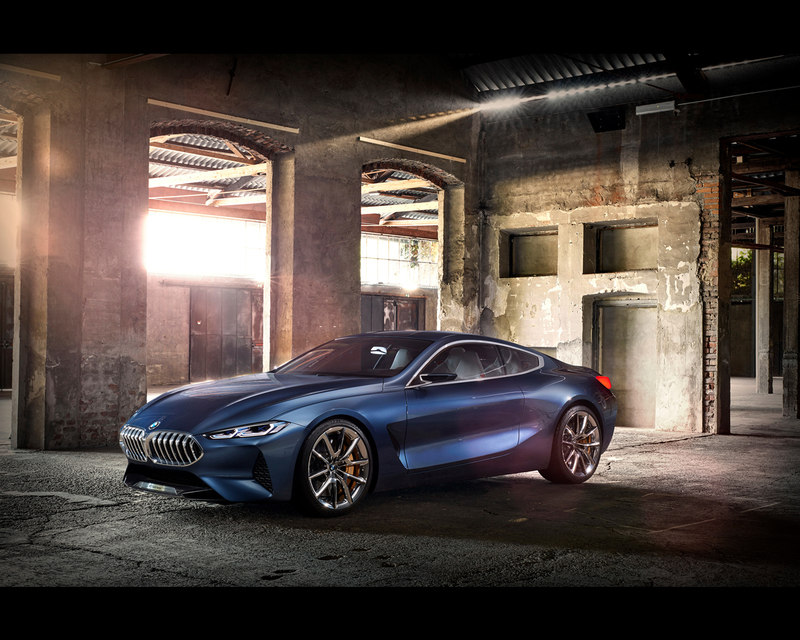 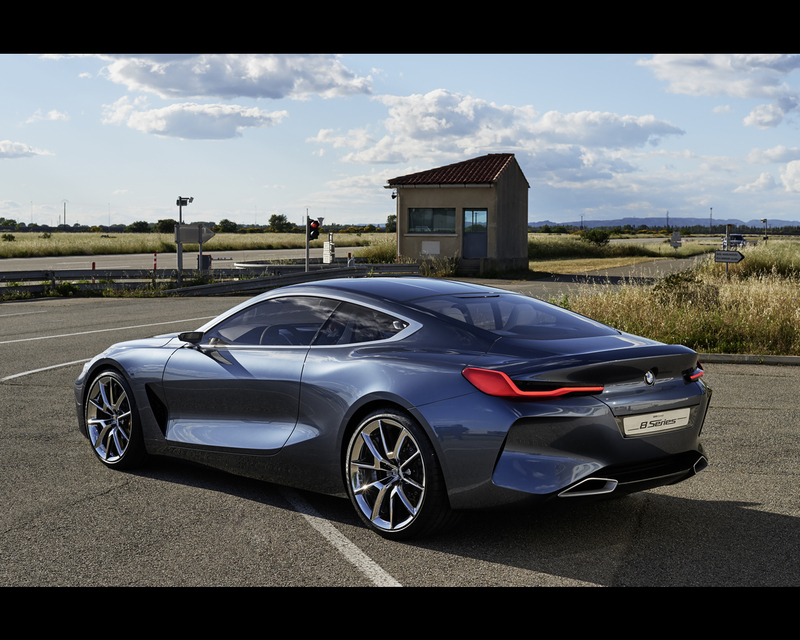 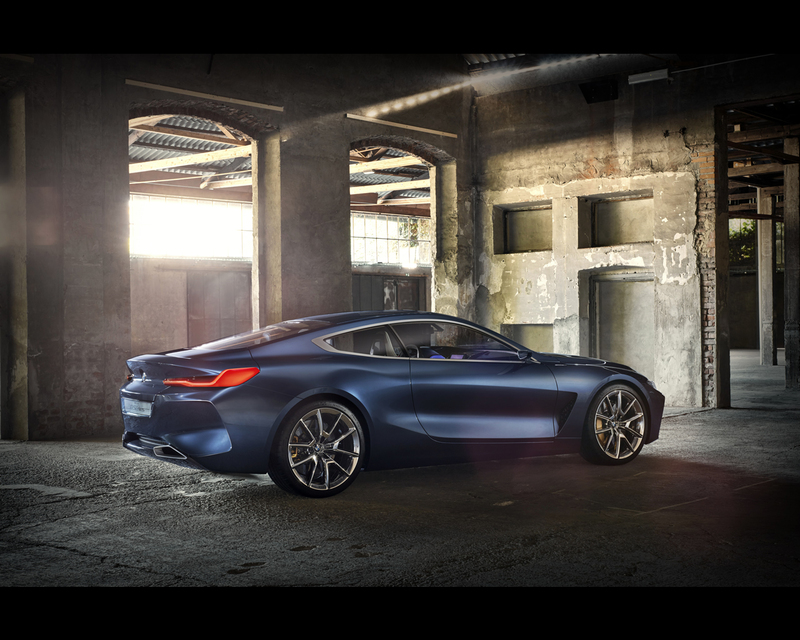 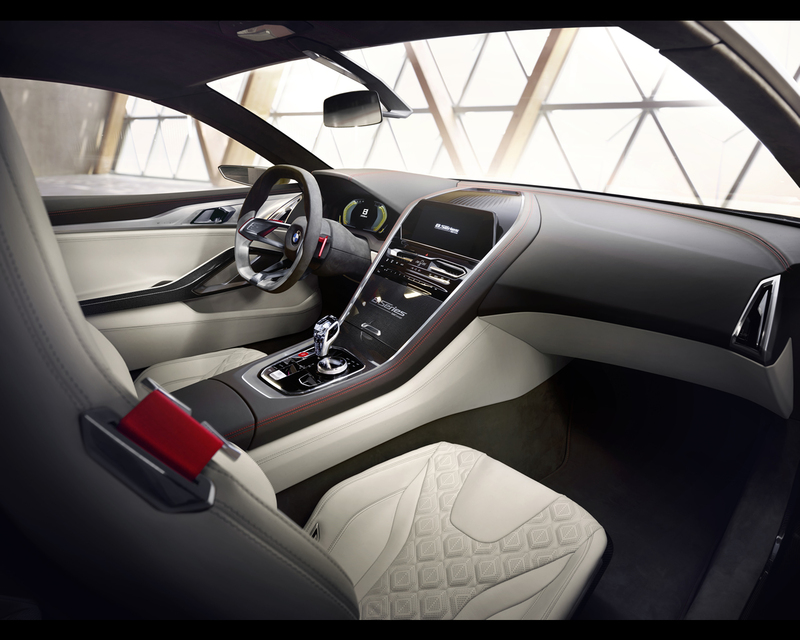 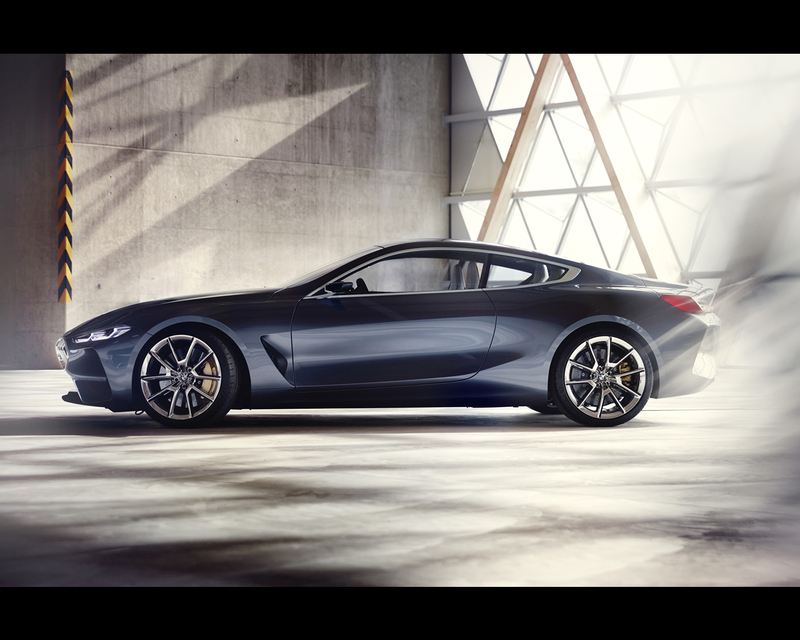 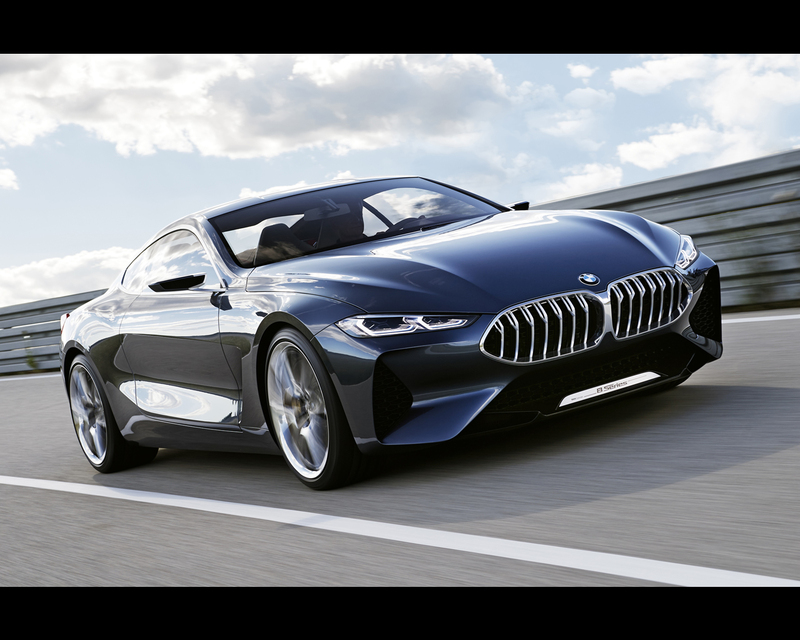 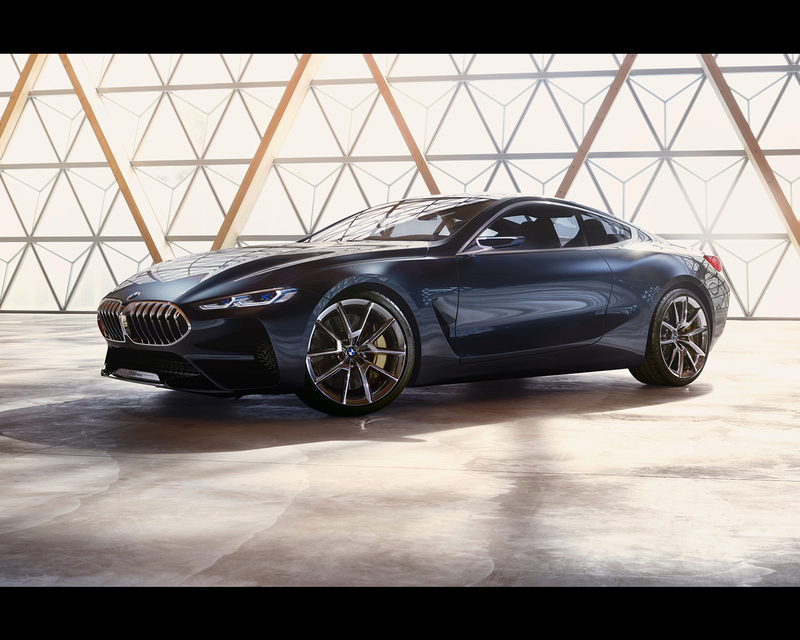 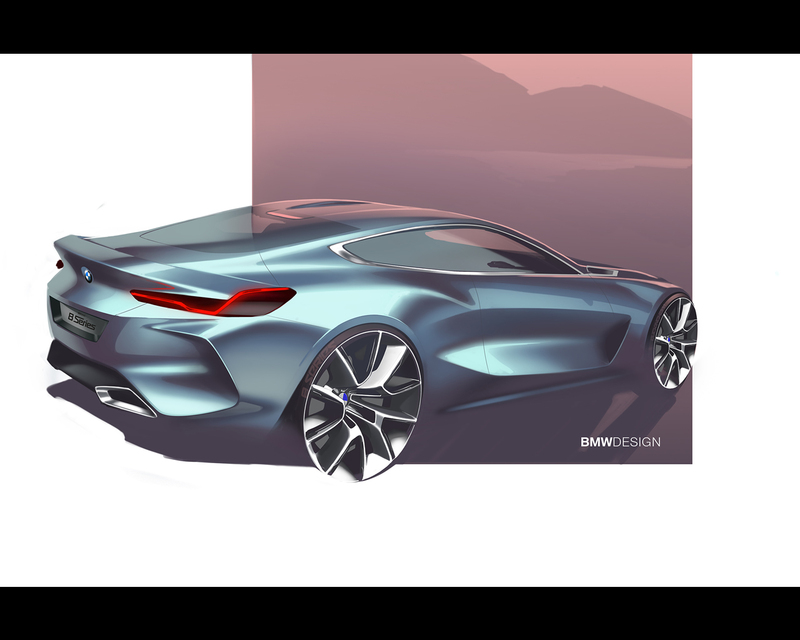 Skilfully moulded line sources and flowing highlights accentuate the athletic contours of the BMW Concept 8 Series. 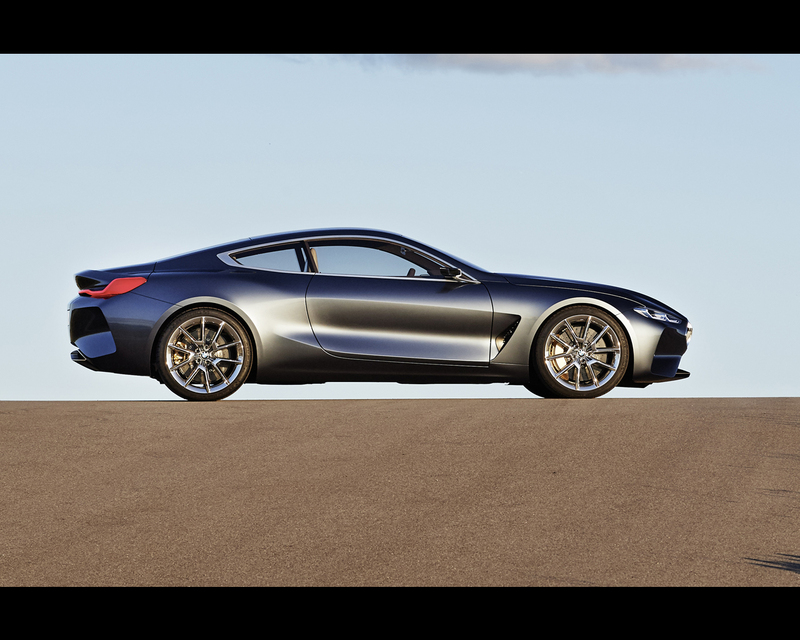 And the exclusively developed exterior paint finish Barcelona Grey Liquid – a greyish-blue with highly iridescent pigments – shows off the surfacing to optimum effect. 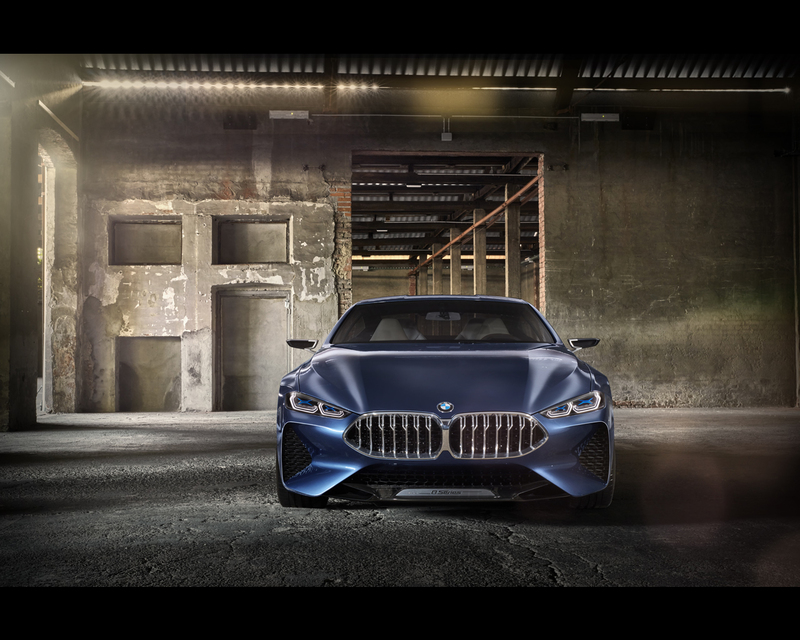 Large (21-inch) light-alloy wheels feature a sporty and exclusive multi-spoke design and aero elements, generate visual depth and set the seal of the compelling appearance of the car when viewed in profile.